Rita Ora Jealous of Taylor Swift & Calvin Harris Relationship: Still In Love With The DJ? After months of speculation that singer Rita Ora was jealous of Taylor Swift dating her ex, Calvin Harris, Rita Ora has finally spoken out about how she really feels about their relationship. In Rita Ora’s latest interview with the Evening Standard, she was asked how she felt about Taylor Swift and Calvin Harris’s relationship and if she had any negative feelings towards the couple. Rita Ora may be saying that she is not jealous or bitter of Taylor Swift and Calvin Harris’ new relationship, but based on her answers, it seems Ora is harboring some negative feelings towards thew new couple. Taylor Swift and Calvin Harris have been dating for a few months now and their relationship has been the subject of many rumors. One thing is certain, whenever Taylor Swift and Calvin Harris breakup, Swift be ready to release some new music and Harris will certainly be the inspiration behind all of Swift’s new songs. What do you think? Is Rita Ora really completely okay with Taylor Swift and Calvin Harris dating, or do you sense a jealous undertone in her statements? Let us know in the comments below. Rita Ora Dishes On Calvin Harris Breakup: Taylor Swift’s New Boyfriend Relationship Doomed, Headed Down The Toilet? Taylor Swift Dating DJ Calvin Harris: Taylor’s Friends Demand Break Up With Player? 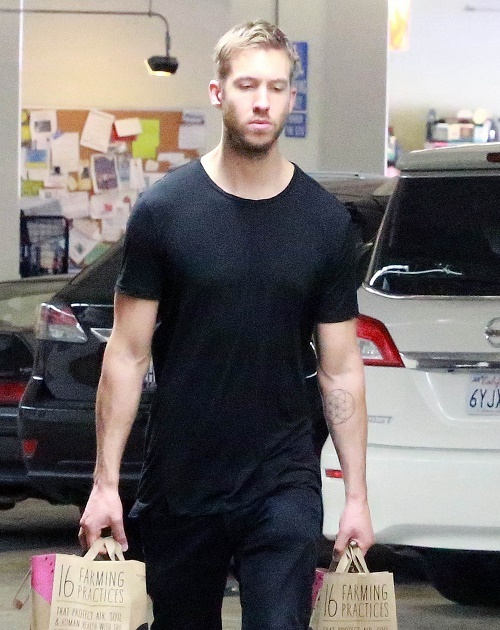 Calvin Harris Cheating On Taylor Swift: DJ Spotted With Secret Girlfriend In Las Vegas, Taylor Gets Heart Broken Again? Taylor Swift 25-Year-Old Virgin: DJ Calvin Harris Singer’s First Lover After Being Celibate For Years? Taylor Swift, Calvin Harris Wedding On Horizon: Taylor Working On Prenup To Protect Money From Womanizing DJ! Taylor Swift, Calvin Harris Wedding On Horizon Allegedly: Calvin Meets Taylor’s Criteria For Future Husband – Man Of Her Dreams! Taylor Swift Orders Boyfriend Calvin Harris To Quit Smoking Cigarettes: Will Taylor Scare Him Off? Taylor Swift Lashes Out At Apple Music, Her Fellow Artists Rejoice: You Won’t Use Our Music For Free!